November 14, 2014	/ 12:00 P.M. - 1:00 P.M.
On November 17, 2014, Kōmeitō will turn 50. On the same day in 1964, Ikeda Daisaku, then third president of the lay Buddhist movement Sōka Gakkai, announced the founding of the new political party. Ikeda did so with the declared intention of bringing “Buddhist democracy” to the country. 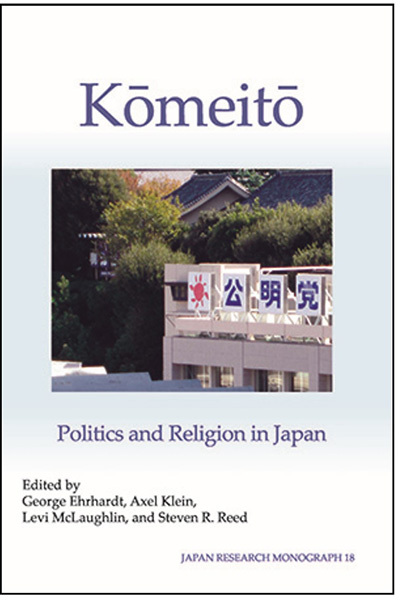 Kōmeitō was to promote social welfare, humanistic socialism, and pacifism through a political program rooted in a combination of the Buddha’s Dharma and the best of the Euro-American philosophical tradition. Despite controversy surrounding its institutional continuity with an expansionist religious sect, Kōmeitō enjoyed increasing electoral success until the end of the 1960s. In 1970, Sōka Gakkai and Kōmeitō cut all official organizational ties following a series of scandals involving attempts by Sōka Gakkai and Kōmeitō leaders to forestall published critiques of the Gakkai and Ikeda. Kōmeitō, however, maintained its powerful organizational base and from the 1990s on the party operated as a power broker in the middle of every political turning point at the national level. Since 1999 on, it has been instrumental in sustaining the LDP-led coalition government with the exception of a three year stint in opposition. Thus, one cannot understand Japanese postwar politics without understanding Kōmeitō. However, in spite of its influence, Kōmeitō has remained opaque. Scholarship to date on Japan’s political system does not reflect the party’s significance, and the relatively small quantity of extant literature on Kōmeitō, in Japanese and in English, tends to rely on newspaper reports articles and outdated sources in concise attempts to explain the party. Some well-regarded academic studies of Japanese politics all but ignore the party entirely. It is this neglect of Kōmeitō and the resulting gap in our knowledge that spurred George Ehrhardt, Axel Klein, Levi McLaughlin and Steven R. Reed to publish an edited volume that Klein and Reed will present and discuss at the German Institute of Japanese Studies (DIJ) which was the base of operations for editors and authors alike and generously sponsored the endeavor.